Tiffany Falcon loves her job and her school. Tiffany Falcon is happy to be a sophomore nursing major at Southwestern, and is doubly happy with her job as a Southwestern recruiter. But she’s learned that often recruiting is more than just saying great things about your school. What makes an effective recruiter is what comes from the heart. In addition to taking on a new job as an enrollment counselor, Falcon also applied and was accepted for summer work as a counselor at Sunset Lake Camp in Wilkeson, Washington. At camp during teen week, Falcon sat with her girls and told them they could ask her anything. She wasn’t expecting the question that came next. When did you get baptized? So she told them. She didn’t get baptized until she was 12. She felt called before, but waited because she felt like she needed to be perfect. Later that night, one of her girls told her she had decided to get baptized. The girl had been dealing with the same thing Falcon had dealt with. In fall semester, during a recruiting visit to Auburn Adventist Academy, Falcon got to see the girl again after she had been baptized. 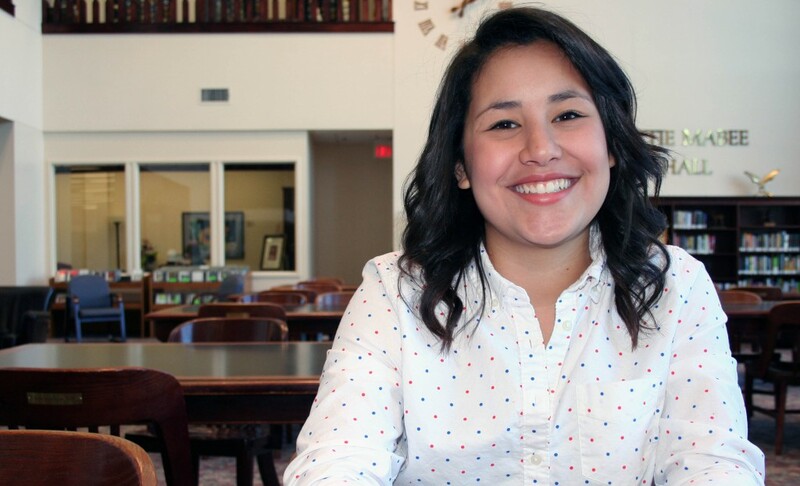 Falcon feels that part of what makes her good as a recruiter is being familiar with the campus, but at the same time, she continues to learn more about Southwestern every day. That led Falcon last year to sign up to be an ambassador for Southwestern’s annual basketball tournament. She did such a good job that Falcon filled out an application at enrollment to work as a recruiter and got accepted.